Arthritis is one of the most common dog and cat health conditions, but fortunately there are MANY neutraceuticals which can be helpful. Dr Jones’ Ultimate Canine and Ultimate Feline Health Formula contain specific nutrients to support your dog and cat’s joint health. Avocado soybean unsaponifiables (ASU) are a supplement of natural avocado and soybean oil extract. It is unrealistic to eat enough avocados and soybeans to get enough oil to be beneficial- it needs to be the concentrated oil. This has been used in France for over 15 years, with many patients claiming great results, and no side effects. According to the studies, it takes over 60 days to see decreased pain and inflammation, it is not a quick response, but that is typical of many supplements. As well there was pain relief for over 2 months after stopping the supplement. 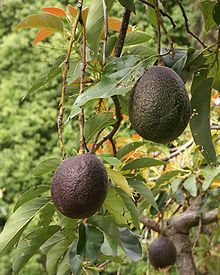 This study demonstrates that treatment with avocado/soybean unsaponifiables can reduce the development of early osteoarthritic cartilage and subchondral bone lesions in the anterior cruciate ligament dog model of osteoarthritis. This effect appears to be mediated through the inhibition of inducible nitric oxide synthase and MMP-13, which are key mediators of the structural changes that take place in osteoarthritis. In the canine study the dose was 10mg/kg daily- so a 85lb dog would take 400mg a day. Extrapolating the doses for people, the dose would be about 1/2 of a human dose- meaning the same 85lb dog would be taking 150mg a day. Clearly more study is needed, but this seems to be a new promising supplement. P.S. Many nutrients have been shown to be beneficial in decreasing the pain and inflammation of arthritis. Some of these include essential fatty acids, glucosamine, chondroitin, MSM. Avocado – toxic for dogs. Soybean – almost all genetically modified (GMO). I thought avacados had a component called persin that was toxic to dogs? I have also heard avocados were not good for dogs but, on the other hand, Avoderm dog food is based on avocados. In this study avocado oil is being used so possibly the Persin has been separated & removed. I’m getting mixed signals also. There was a post on avacodos being toxic to dogs not too long ago. I’m losing faith Dr Jones. I agree, this is confusing, because of the toxicity of Avocados. I also thought soy was not good for dogs, either. I just got his Special Report on Dog Food and avocados are listed as something never to give dogs. And soy is definitely not good for dogs. Now he’s promoting advacados as a natural remedy for arthritis? No explanation of any kind? And on top of that two different dosages for an 85 lb. dog! They both can’t be right. I was thinking about getting his Canine Supplement, but now I wonder, can I trust it? What’s going on with Dr. Jones? Dr. Jones, I believe I learned from you in the past that avocados are toxic to dogs and soy is not a helpful, in fact is a harmful nutrient to dogs, whether it is organic or GM altered. This information has been reinforced by several holistic vet. sources that have helped my raise my dog to be healthy. Please clarify! I have used Dr. Jones supplement for my Lab and Labradoodle for 5-6 years and I have never had healthier dogs and of course good food is a must also. I would like to find out where one could read more on this subject. Please do your dog or dogs a favor and give them the vitamins. So was any conclusion reached about avocado being safe to use despite being told that they are not? This could be really dangerous if it’s not and this info is being disemminated.